Amid the ongoing visit of the head of Libya’s UN-backed unity government Fayez Sarraj to Moscow and in the wake of the previous Russia's contacts with Sarraj's opponent, General Khalifa Haftar, Russian political analysts expound on whether it signals Moscow's interest in a greater role in the region following its peacemaking efforts in Syria. 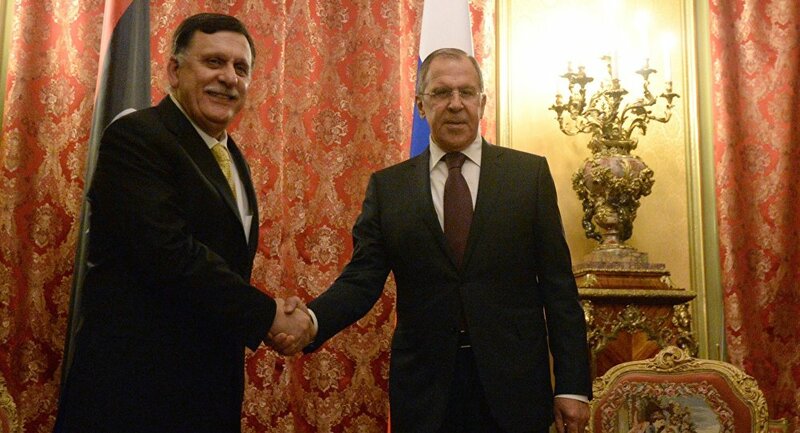 On Thursday, Libyan Prime Minister, the head of Libya’s UN-backed unity government (Government of National Accord (GNA) Fayez Sarraj held talks with Russia's Foreign Minister Sergey Lavrov while being on his two-day visit to Moscow. Following the talks, Russia's top diplomat said that Moscow believes that the Libyan crisis should be settled by the country's nationals and will contribute to creation of conditions necessary for the peace process. He called for the countrywide dialogue between all the parties to the Libyan conflict aimed at settling the turmoil. Lavrov also expressed solidarity with the Libyans amid the violation of their integrity and pointed out that Russia as Libya’s long-term partner was determined to help the country overcome the challenges. Earlier, Moscow was in close contacts with Sarraj's opponent, General Khalifa Haftar, who visited Russia in November and was invited onboard a Russian aircraft carrier, the Admiral Kuznetsov, off the Libyan coast in January as it was on route from its military mission in Syria. 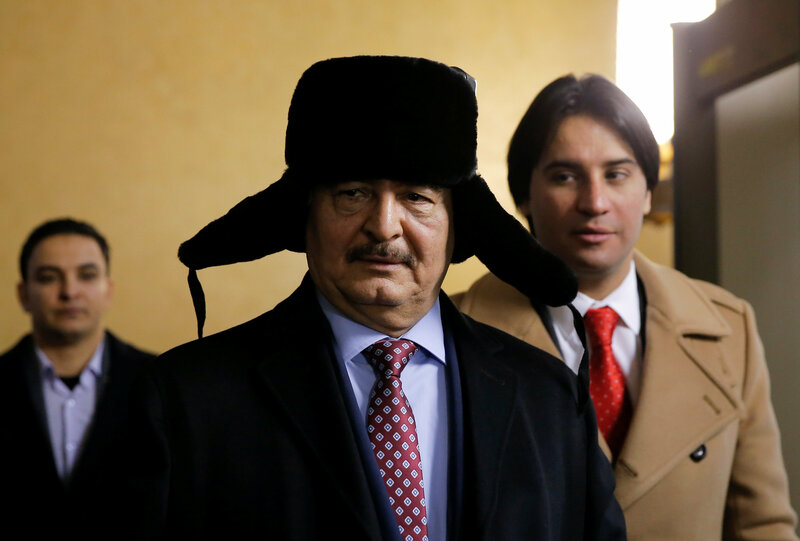 General Khalifa Haftar (C), commander in the Libyan National Army (LNA), leaves after a meeting with Russian Foreign Minister Sergei Lavrov in Moscow, Russia, November 29, 2016. Haftar leads the Libyan National Army (LNA) in the east of the country and is a close ally of the Tobruk-based House of Representatives parliament, a rival to the Tripoli-based Government of National Accord (GNA) which has all but lost control of the Libyan capital despite international support. The above visits have prompted some to draw parallels with Syria, where Russia stepped in to help to settle the bloody conflict and to suggest that Libya "could become a new stage for Russia's peacemaking efforts." 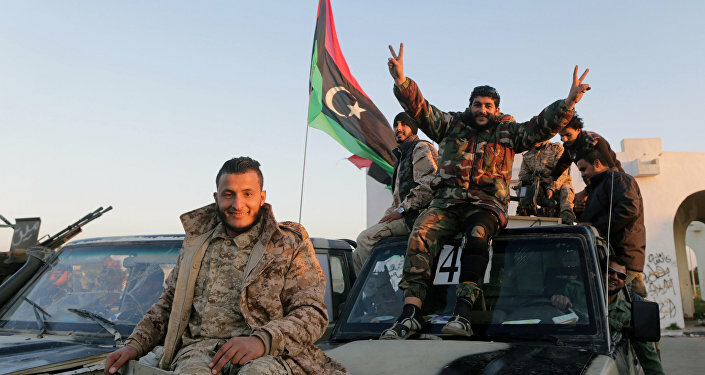 Analysts believe Russia, emboldened by its military success in Syria, is seeking a foothold in oil-rich Libya with support for Haftar, according to News24 website. British Financial Times quotes Lia Quartapelle, a member of the foreign affairs committee in the Italian parliament, as suggesting that Moscow "could also be looking to cement its role in Libya ahead of any policy shift towards Libya by the US under Donald Trump." 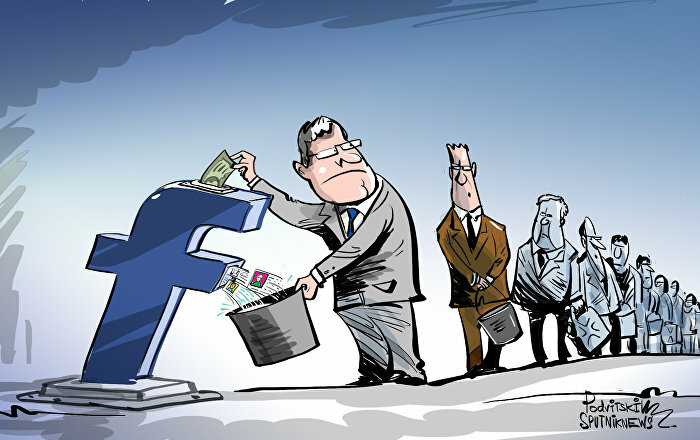 Meanwhile, Russian political analyst, President of the Russian Society for the Promotion of Friendship and Business Ties with Arab Countries Vyacheslav Matuzov suggested that Prime Minister Sarraj's visit to Moscow signals his reliance on Russia rather than on the West. He said that Sarraj therefore is ready to admit all the contracts previously signed between Moscow and late Libyan leader Muammar Gaddafi, however it is still no more than rhetoric, he added. Fayez Sarraj, he said, does not have any power within the country while being backed only by Martin Kobler, Head of United Nations Support Mission in Libya, who is trying to "sit him in as Prime Minister by any fair means or foul." "Sarraj is an appointed Prime Minister, he has not been approved by the Parliament (in December, the Parliament triply rejected his candidacy) as it is required by the Arab agreements and UN Security Council resolution. 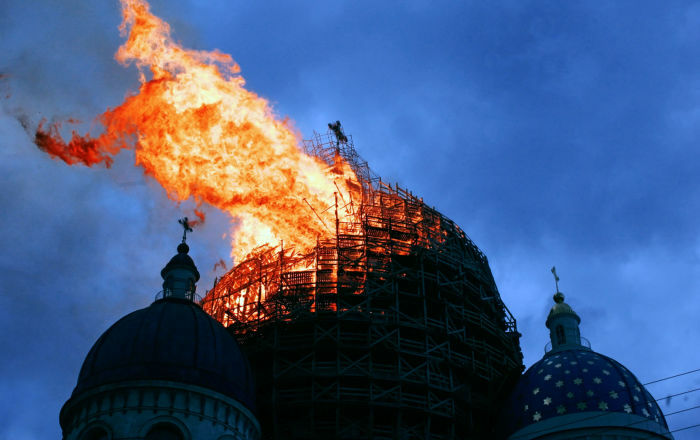 He simply performs his duties and it is too early to talk about any contracts and liabilities at this stage," Matuzov told Russia's online newspaper Vzglyad. The analyst called his visit to Moscow a "forced one" as Russia has been actively developing its relations with other Libyan powers and first of all, with Tobruk-based House of Representatives parliament. Sarraj, he said, "can't even poke his head out of his bunker at a military base in Tripoli." He has no control even in the capital, not to mention the whole of Libya. While Haftar, he said, means control of over 80 per cent of the territory of the country, its oil, oil terminals and the national bank. He exercises the real power. 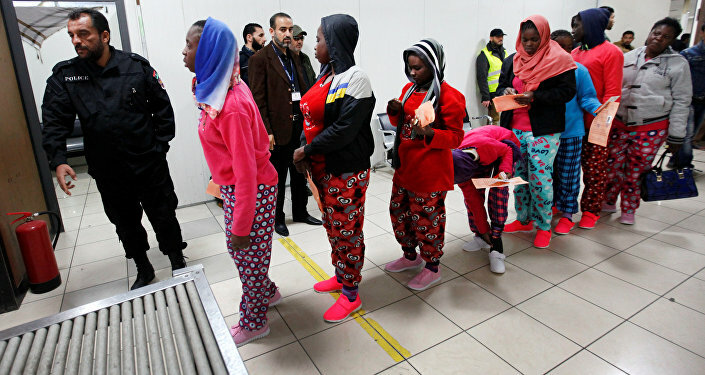 Meanwhile, Veniamin Popov, former Russian ambassador to Libya said that the Libyans have become "allergic to the West" and "even the Islamists say that Russia should take part in the settlement of the conflict in their country." However the former diplomat is convinced that the reconciliation between Sarraj and Haftar is not an easy process. "Let them meet in Moscow, it is not a problem. However there should be a clear program how to unite the country, get rid of the Islamists and make peace and order," he told Vzglyad. Vyacheslav Matuzov however says that the reconciliation between Sarraj and Haftar depends on whether Sarraj agrees for the people loyal to Haftar and Aguila Saleh Issa, current chairman of the Tobruk-based House of Representatives parliament, to be present in his government. "Haftar has sent to Washington his personal representative, who has recently visited Moscow and has met with Sergey Lavrov. He is actively working out on an idea of Russian-American cooperation in Libya," he told the newspaper. The expert is sure that any Libyan regime is ready to promise to deliver on all the economic and debt liabilities to Moscow. Besides, he said, the majority of the officers in Haftar's army had undergone training in the USSR and many still speak Russian. Hence they are much more capable on delivering on the debt liabilities to Russia, he concluded.